This UV Portable Beach Umbrella is a new addition to the Sun Umbrellas section at Umbrella Heaven. 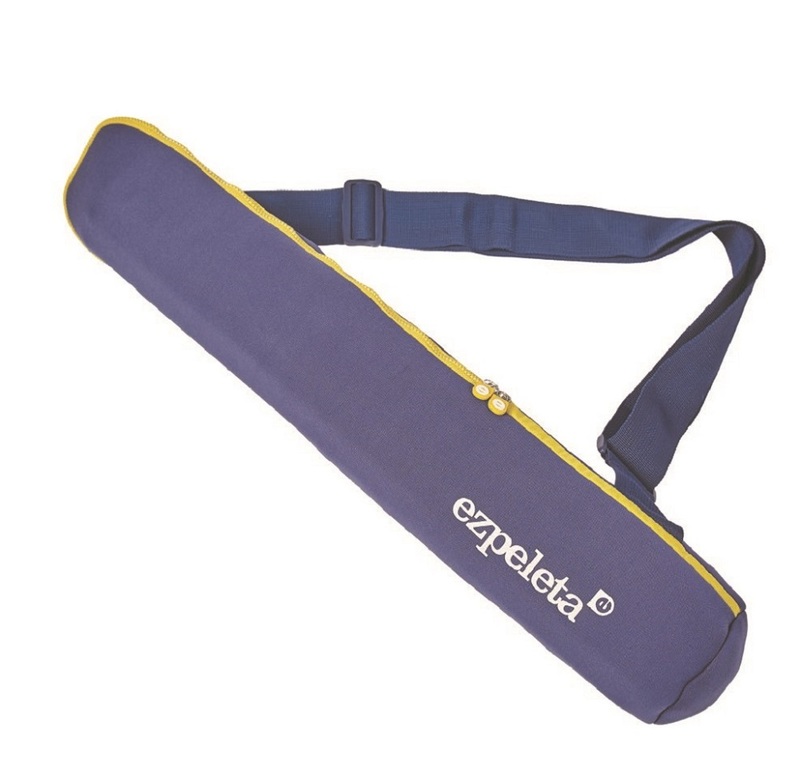 Take it with you wherever you go in it’s neat shoulder bag. 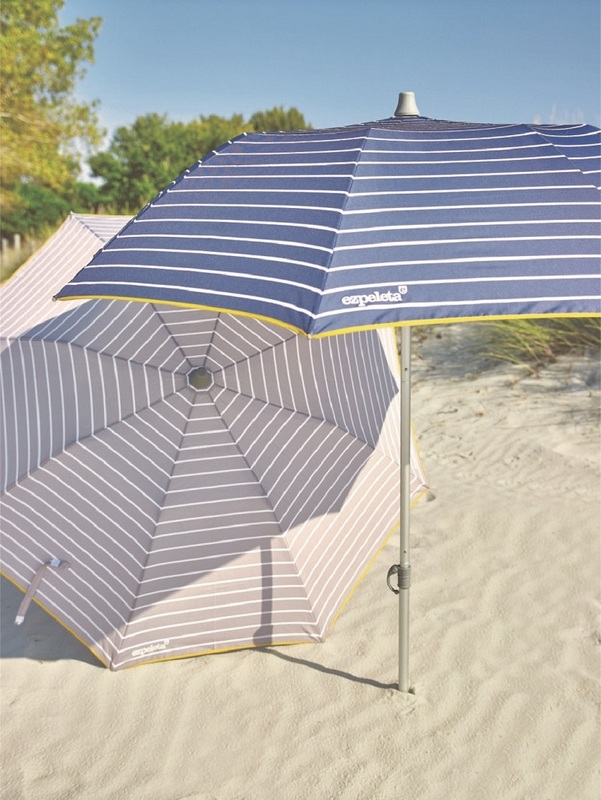 At Umbrella Heaven we are really excited to introduce to you our brand new UV portable beach umbrella. 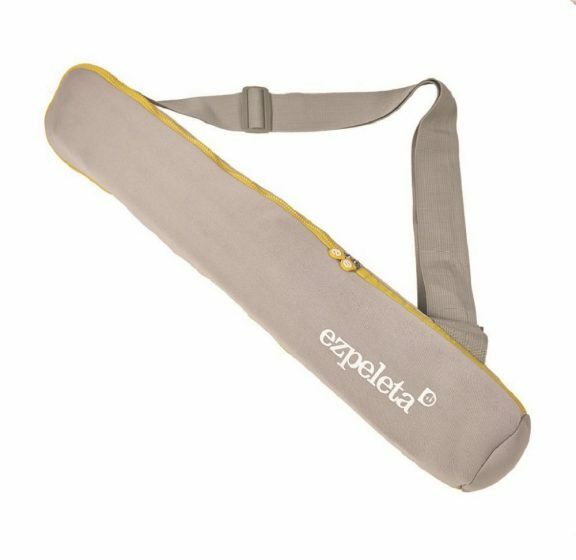 This amazing fold and go parasol is going to be a game changer for people looking for protection from the sun’s harmful rays. This classically styled beauty has a UPF of 50+. The UV portable beach umbrella comes in a smart neoprene carry bag with wide comfy shoulder strap. 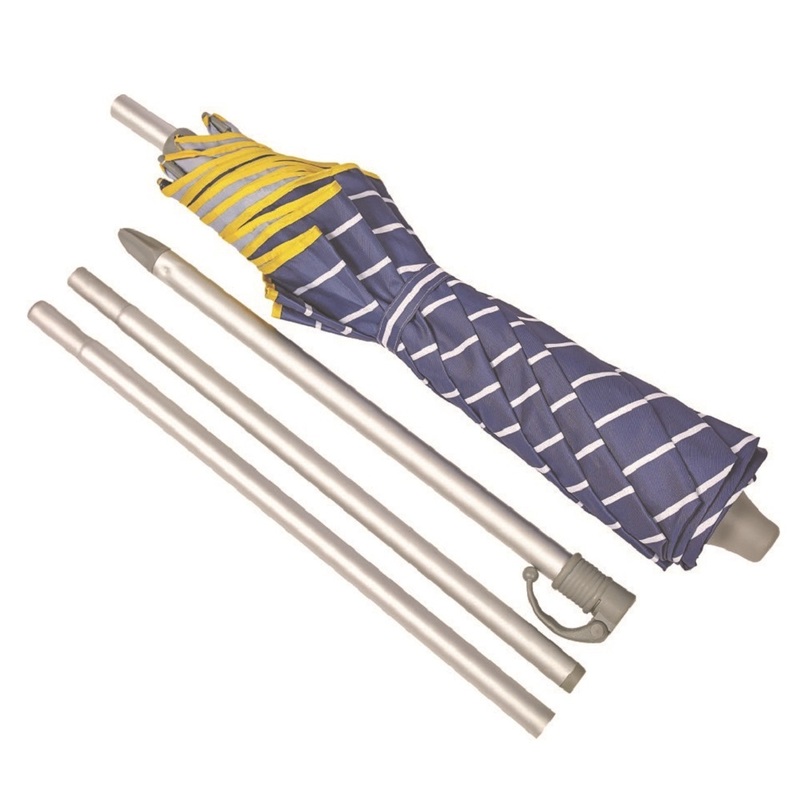 The parasol inside is split into 4 easy to assemble sections. 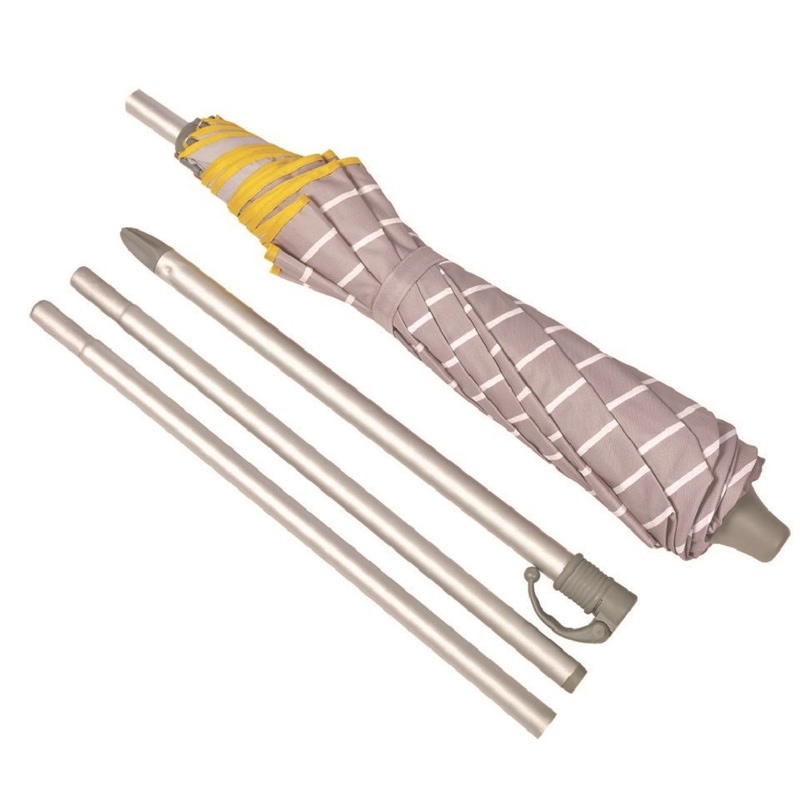 If you want the parasol lower simply leave out one of the sections when assembling. In less than 2 minutes you parasol can be assembled and you can start to relax. 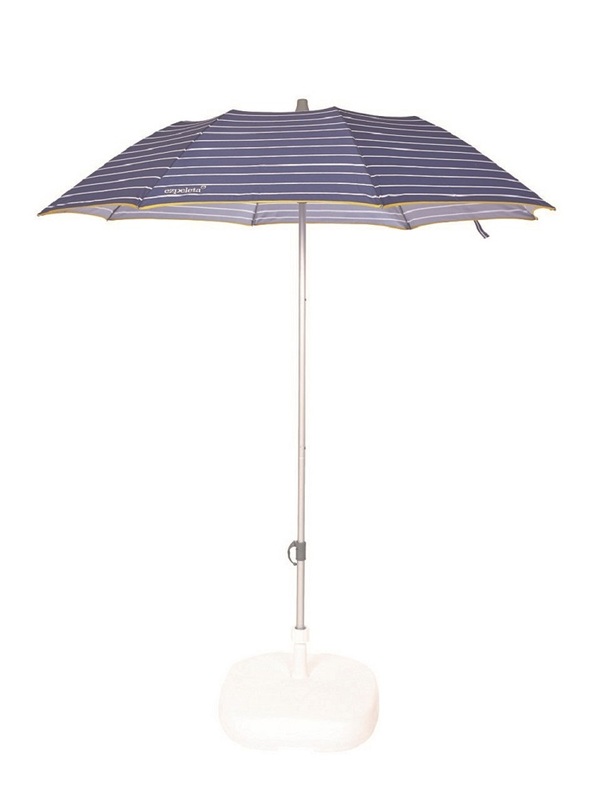 The parasol comes in a choice of 2 colours, Blue or Grey. both have narrow white stripes and are trimmed with a sunny yellow edging. The matching carry bags have a nice chunky zip in contrasting yellow. These innovative parasols are just perfect to keep in the car, to take with you to the beach or a picnic. They will even fit into most suitcases for you to take on holiday. No more paying for parasols when on the beach. 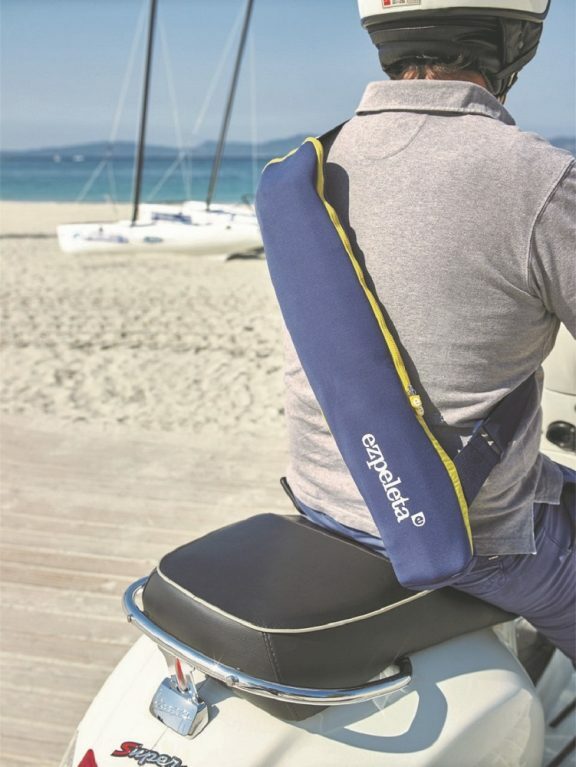 Take your own with you and be the envy of the beach. 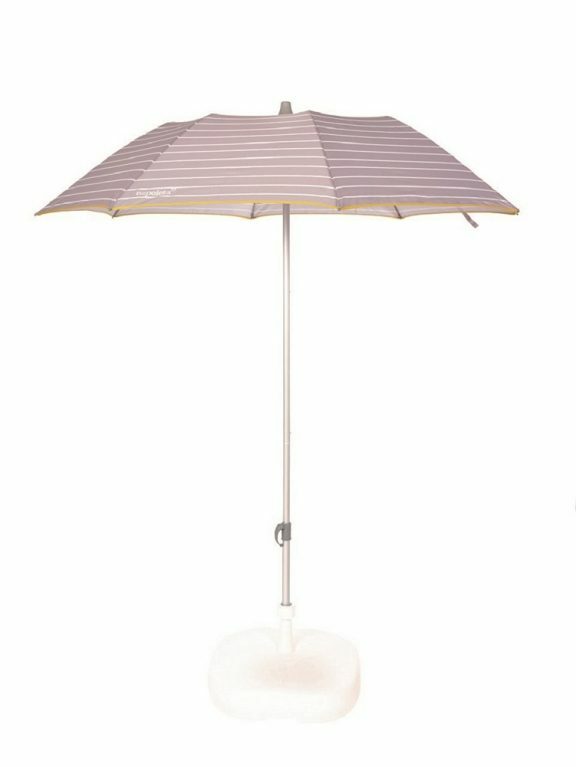 If this is not the parasol that you are looking for then click here to see the rest of our range.